The following regarded members of our community have stood up to shine a light on this important cause as honourary Patrons and Ambassadors of the Asylum Seeker Resource Centre. 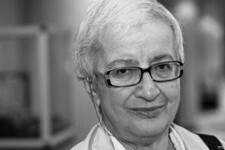 Appointed to the Order of Australia for her service to women’s welfare in 1995, and 1997 Humanist of the Year, Eva is a distinguished activist, sociologist and ASRC supporter. 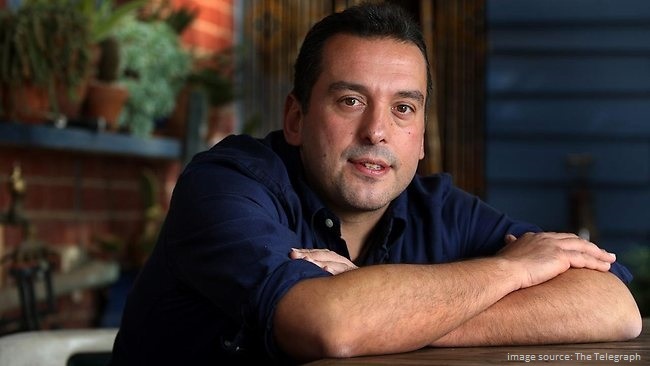 “We need [the ASRC] and other organisations to show those in power and fellow citizens what should be done if we want a much more civil society. Otherwise people lose faith in our potential for goodness and hospitality. My own experience has influenced my involvement in social change. When I was thirteen months old, Hitler made me stateless so I and my mother became refugees in England. We owe others the same rights, which is why the UN refugee convention was created. 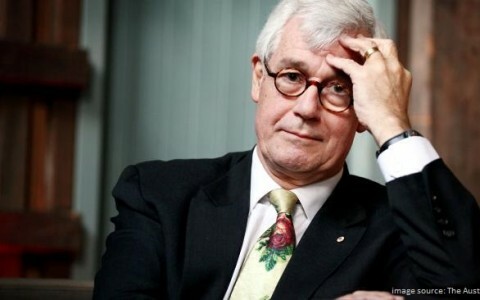 An Officer of the Order of Australia for his service as a human rights advocate, Julian is known for his staunch opposition to mandatory detention. 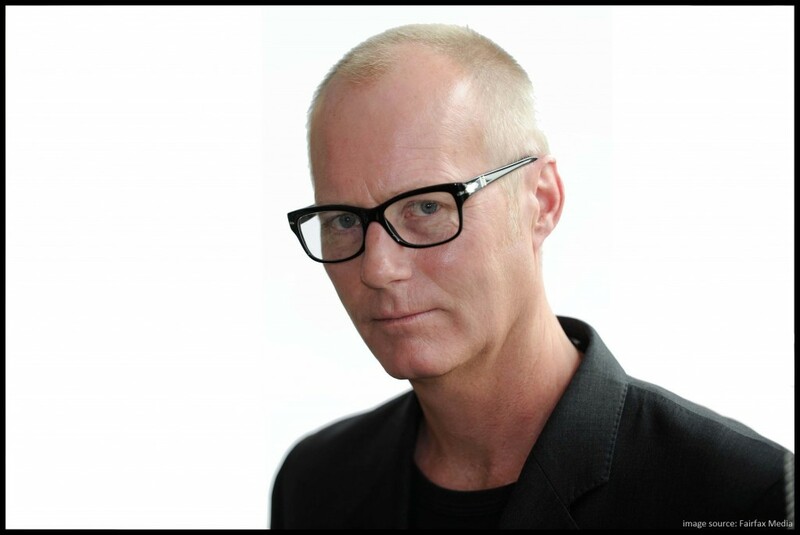 After completing a Bachelor of Economics and a Bachelor of Laws at Monash University, Mr Burnside joined the Bar in 1976 and took silk in 1989. While specialising in commercial litigation, Mr Burnside has acted pro bono in many human rights cases, in particular concerning the treatment of refugees. 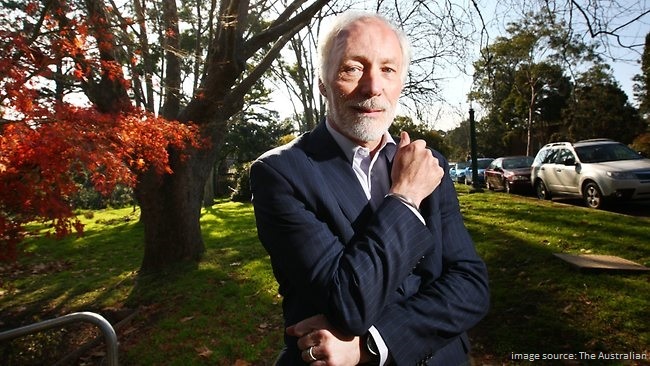 Mr Fraser passed away on the 20th March 2015, but we continue to honour his strong friendship with ASRC and his unwavering commitment to a humane, compassionate approach to asylum seekers and refugees. 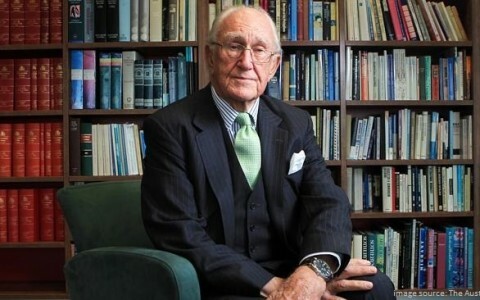 Mr Fraser pioneered Australians for Just Refugee Programs (now A Just Australia), founded The Justice Project in 2004, and has been tireless in his advocacy for human rights in Australian society. 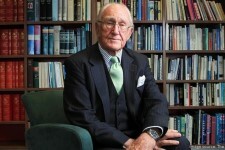 Awarded the Gruber Justice Prize in 2010, Michael retired from the High Court of Australia in 2009 as Australia’s longest serving judge and has been a longstanding and vocal supporter of asylum seeker rights. “I honour the clients who teach the lawyers, civil society organisations and citizens the critical lessons concerning the importance of living in a rule of law society which upholds the dignity and rights of everyone. I honour the staff and volunteers who have played such a crucial part in the work of the centre. I honour the supporters who have helped to make it possible. Those engaged in the centre must not only seek to provide assistance to asylum seekers. 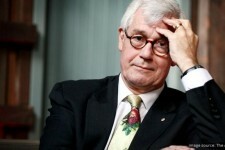 They must also become advocates for a better and more just legal regime in Australia. After all, they can draw upon their uniquely intense experiences. 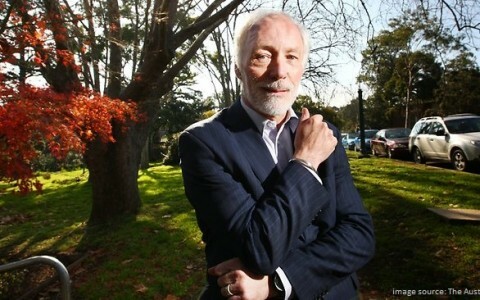 Professor Patrick McGorry is a mental health expert, executive director of Orygen Youth Health, and Australian of the Year 2010. 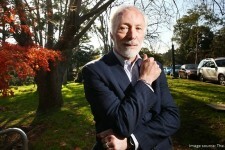 He’s worked with refugees for over 25 years, and was a co-founder of the Victorian Foundation for Survivors of Torture. 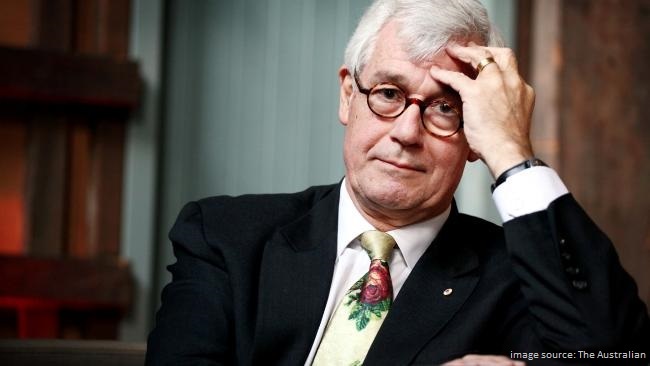 He was one of the mental health experts consulted by the Government’s expert panel on asylum seekers in 2012. “Prolonged detention, particularly in isolated conditions, can have severe and detrimental effects on the health and psycho-social wellbeing of those affected. The most demoralising thing about being in this limbo is that there’s no future. The person loses hope for any sort of form of positive future life. Imogen Bailey is an actress who is outspoken on issues of social justice and human rights. Imogen dives in headfirst and fights hard for what she believes in, and her participation in ‘Go Back to Where You Came From’ was no exception. Where hip-hop meets reggae, where jazz is played with dirty hands, where a Cuban line meets an Aussie rule, where nothing seems in place but sounds like many places played in one earthy chord: this is the island where The Cat Empire was born. 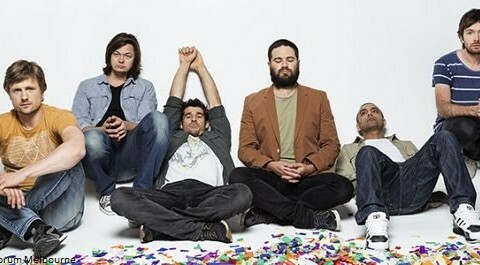 “The Cat Empire are proud supporters of the incredible work of the ASRC. 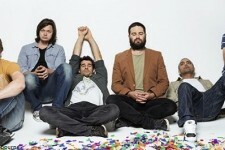 We are Melbourne locals who believe it is critical to foster the unique rich cultural fabric of our city which has helped shape our music over ten years. We strongly believe that all people have a right to sanctuary, respect and safety. Corinne Grant works as a lawyer representing injured workers. She is also an accomplished performer and writer, best known for her work as a cast member of Rove Live and The Glasshouse, and author of Lessons in Letting Go. She is a passionate advocate for refugee and asylum seeker rights and has emceed the Palm Sunday rally for many years, facilitated and hosted numerous panel discussions, fundraisers and events for human rights organisations and volunteers her legal skills to assist people seeking asylum. Corinne is honoured to be a Goodwill Ambassador for the ASRC. 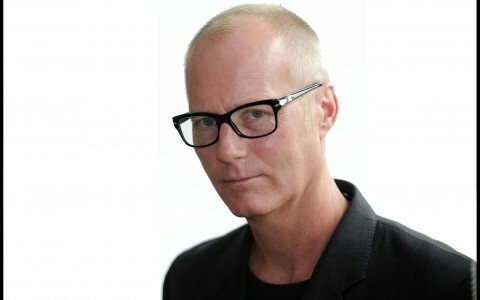 During his 25-year career, Michael has worked in print, radio and television in Australia, the USA and Europe, including a scholarship with the Paris-based Journalists in Europe Foundation. 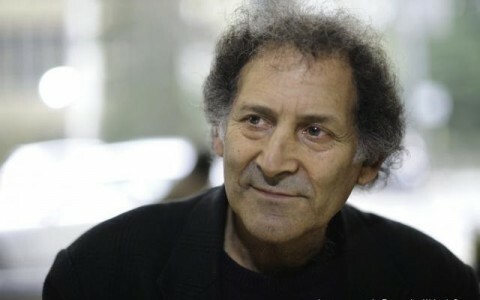 Arnold Zable holds a doctorate from the School of Creative Arts, Melbourne University. His books include Jewels and Ashes, The Fig Tree and three novels, Café Scheherazade, Scraps of Heaven, and Sea of Many Returns. 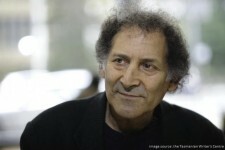 He is the author of numerous stories, columns, essays and features, and is co-writer of the play Kan Yama Kan, in which asylum seekers tell their stories. He was an artist consultant to the recent Asylum Seeker Resource Centre production Not Just My Story. 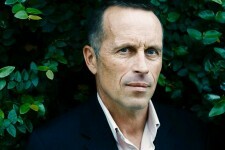 “I think the question of asylum and refuge is the political and ethical issue of our age. In hindsight our globalised moment will be judged by how we treated the enormous number of stateless and displaced people seeking lives free of political, religious, cultural and, just as importantly, economic oppression. 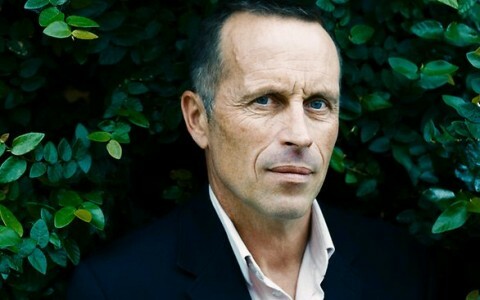 Mark Seymour is an Australian musician and vocalist best known for his work as the frontman and songwriter of rock band Hunters & Collectors. “The ASRC. takes a direct, hands-on approach to the welfare and protection of asylum seekers in our community, in the face of the overwhelmingly selfish and capricious policies of containment and punishment that are being dished out to them by our federal government. In the face of this, I am deeply impressed by the professionalism and courage of the ASRC, but above all, its fiercely independent spirit. 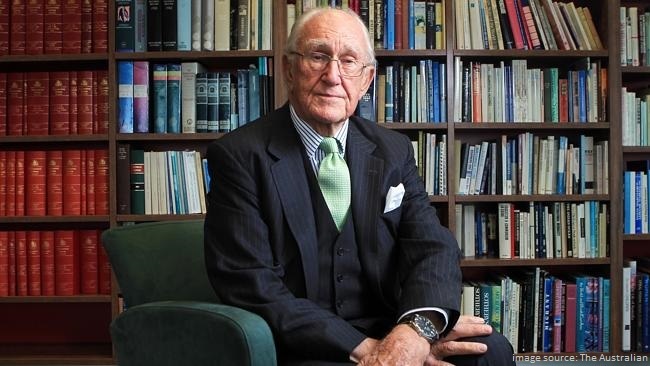 As a proud Australian, I believe we are a fundamentally generous, optimistic people who have the capacity to embrace the world around us in a positive and compassionate way. The idea that we should be suspicious of people arriving here uninvited, contradicts the very nature of our origins. We are a nation of immigrants. In fact, many of my ancestors had no choice in the matter of coming here but made good just the same. I believe that by definition ‘asylum seekers’ are driven to find shelter in the same way, so I identify with them very deeply. We are living in dangerous times. Australia is being manoeuvred into a state of isolation by political forces who are using ‘Asylum seekers’ as a national scapegoat to distract the public from a broader conservative agenda. I want to stand beside the ASRC in its work to dispel the rising tight of hate speech we are witnessing in this country”. 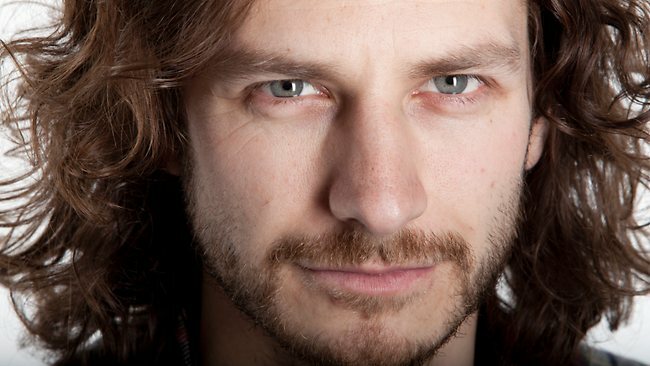 Wally de Backer is an international award winning musician and singer-songwriter, best known for his single ‘Somebody That I Used to Know’ released under the name Gotye. 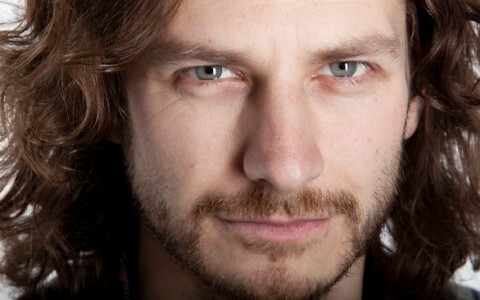 He is also the drummer for three-piece Melbourne band The Basics. 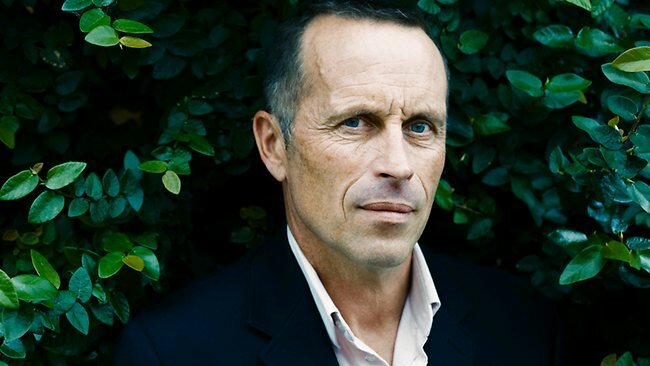 In 2013 Wally was named one of the ‘top 50 most influential Australians in the arts’ by The Australian. 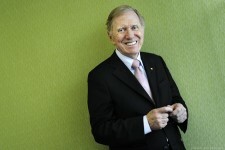 Wally advocates for human rights and the humane treatment of asylum seekers at every opportunity. He has performed at numerous benefit gigs, supported The Hot Potato campaign, and we are honoured to have him amongst our ASRC Ambassadors. ”Every human being deserves to be treated with dignity, compassion and respect. A country like Australia can do better than this. When people come seeking asylum, which is their right, there needs to be a situation where they can be treated with respect and with dignity and where their case can be processed in a reasonable period of time. I think that’s a responsibility Australia has. It’s not like we’re under pressure really when you look at numbers compared to other places in the world. 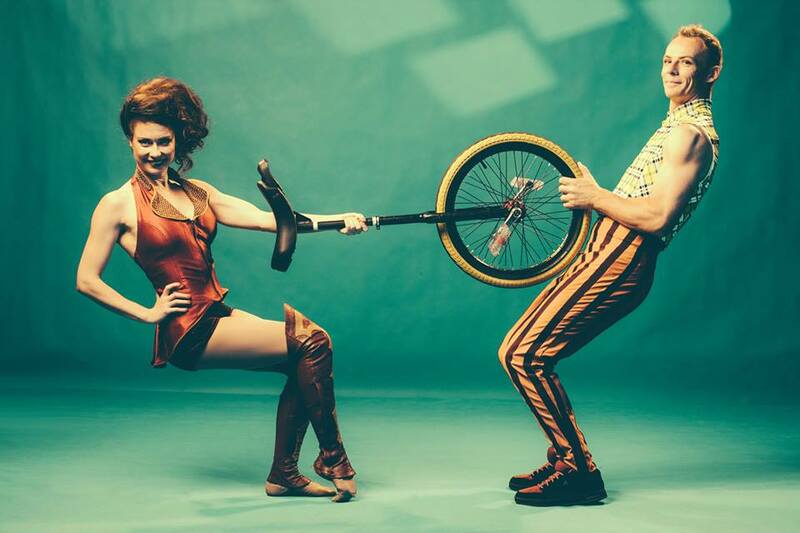 Circus Oz have been delighting audiences for over 35 years with their unique style of breath-taking feats, serious fun, live music, and irreverent humour. Their animal-free performances promote the best of the Australian spirit: generosity, diversity, death-defying bravery, and a fair go for all. Circus Oz has also had a long-standing connection with refugees and asylum seekers including holding workshops at detention centres, providing tickets, and raising donations through their Red Bucket collections at the end of each show. Carolyn Creswell’s passionate interest in human rights was sparked during her Monash University days in the early 1990s when she also bought her fledgling business, Carman’s. 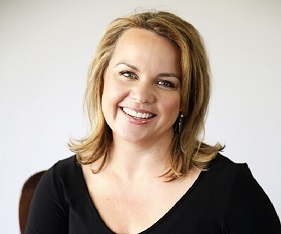 In the 22 years since then, she has been awarded many business accolades including 2007 Ernst and Young, Young Entrepreneur of the Year and the 2012 Telstra Australian Business Woman of the Year. In addition to being the CEO of Carman’s, Carolyn is a Board Member at the Human Rights Law Centre and is an Ambassador for Smiling Minds, a not-for-profit web and app based meditation program designed to bring balance to young minds. 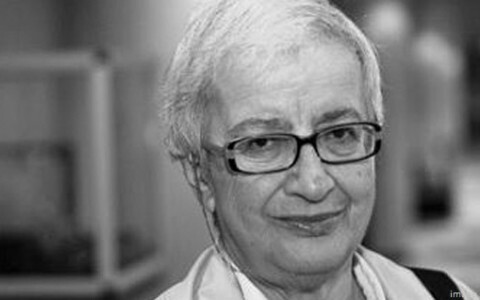 She previously has been a board member of the Victorian Human Rights and Equal Opportunity Commission. Carolyn also sits on the Board of the Stephanie Alexander Kitchen Garden Foundation, whose programs are now used in 10% of Australian primary schools, teaching students via pleasurable food education to grow, harvest, prepare and share food. Carolyn loves living in Melbourne and is a very proud mother of four young children. Taj Lingam is an eleven year old grade 5 student from Alphington Primary School in Melbourne. 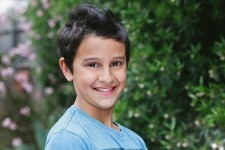 He is passionate about his sports, is a budding musician and has a real awareness of human rights issues. Taj recognises what a fortunate life he has and feels it is only fair that he should support others to have the same opportunities and rights. “We have a good life in Australia but Asylum Seekers are forced to leave their homes and start a new life. I believe that asylum seekers should have the same rights and opportunities as we do and I think they have a lot to offer to Australia. One of the best things I like about doing my fundraising projects is that it is heaps of fun and my friends join in too. 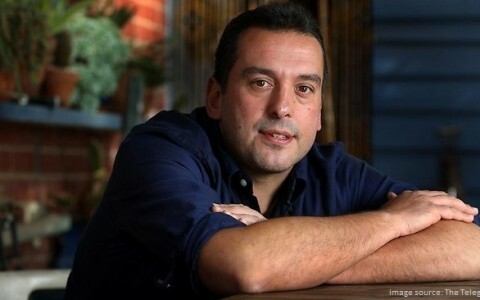 I am really excited and proud that the ASRC have asked me to be an ambassador. It feels great to be able to make a difference and I hope I can inspire lots of other young people to support the ASRC by running events and collections. 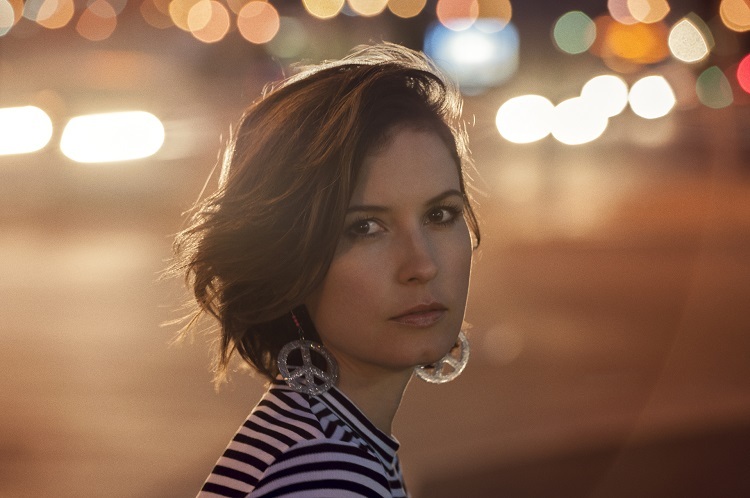 Missy Higgins has enjoyed phenomenal success with her irresistible melodies and ‘arrow through the heart’ lyrics, delivered by a striking voice that clearly means it. After touring the globe with her undeniable songs and unforgettable live performances, Missy’shighly acclaimed albums The Sound Of White (Album Of The Year featuring the hit singles “Scar” and “Ten Days”), On A Clear Night (featuring North American top 20 airplay hit “Where I Stood” and “Steer”) andThe Ol’ Razzle Dazzle (#1 album featuring “Everyone’s Waiting” and “Hello Hello”) have sold over two millions albums and singles globally. Missy has appeared on the cover of Australia’s Rolling Stone magazine twice and is a five-time chart topper – and multiple ARIA Award winner. In 2011, Missy recorded her first new songs in five years with local producer Brad Jones and co-producer Butterfly Boucher. Those recordings became The Ol’ Razzle Dazzle, Missy’s third #1 studio album in her homeland which despite the five year wait, became the most acclaimed work of Missy’s extraordinary career. The album spent over three months in the Australian top 10 after its mid 2012 release and becameMissy’s first release to make the Billboard Top 100 in America. Missy released the standalone single ‘Oh Canada’ in 2016 with 100% of net profits going to the Asylum Seeker Resource Centre. The song was inspired by the tragic images of an infant Syrian refugee named Alan Kurdi being carried from the water by a soldier. A powerful animated video for ‘Oh Canada’, created in partnership with Caritas and World Vision, accumulated over 1 million views within a week of it’s release. Mid 2016, Missy performed a series of sold out shows in her first North American tour in four years and she then closed the year with a handful of special concerts in Australia. Playing to over 25,000 fans, Missy’s Orchestral Concert Series saw her live band fused with some of Australia’s leading symphony orchestras. 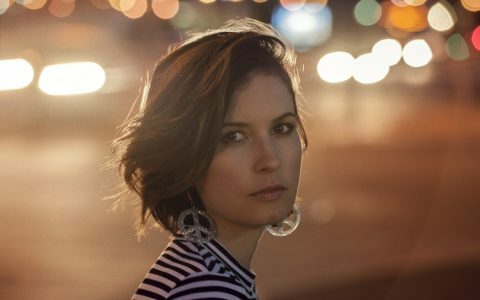 Most recently, Missy released ‘Torchlight’ – a powerful, emotive piano ballad written for Australian film ‘Don’t Tell’ starring Rachel Griffiths and Jack Thompson. Leila Gurruwiwi is a proud Yolngu woman of the Galpu Clan, originally from Galiwinku on Elcho Island in North East Arnhem Land NT. 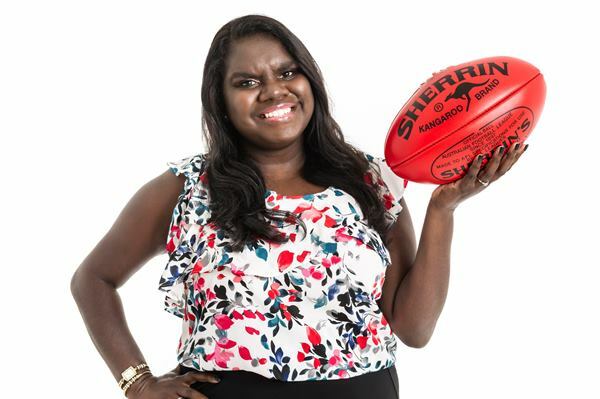 Growing up most of her life in Bendigo, Victoria; Leila finished year 12 in Melbourne and 6 months after completing her VCE was thrown into the deep end when The Marngrook Footy Show was commissioned by NITV to begin as a television show in 2017. 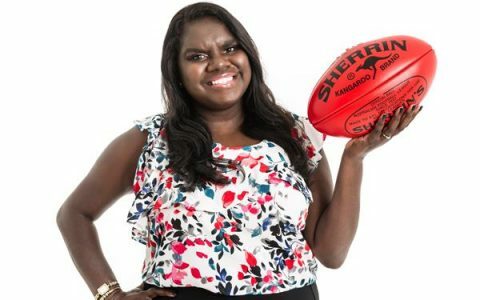 From the age of 19, Leila has been a regular member of the Marngrook Footy Show for the last 10 years presenting a number of segments over the years including the news, injury report, Did you know? A footy facts segment, a women’s tipping segment called “Tiddas Tips”, as well as interviewing current and former Indigenous and non-Indigenous footballers. Leila has emceed a many events in Victoria as well as interstate, done Indigenous cultural awareness talks in schools across Melbourne and sat on a number of expert panels sharing her thoughts and views on a number of issues including women in sports, women in media, sports, media, the arts and Indigenous culture and currently working part time as the Indigenous Support Worker at the Pavilion School in East Preston where she helps create a culturally safe space for Indigenous students to study and create passion for the Indigenous culture in both Indigenous and non-Indigenous students and staff alike. 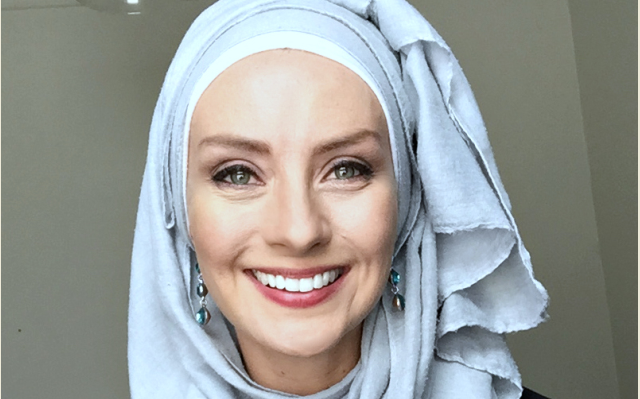 Susan is a regular paper reviewer and Friday panellist on ABC TV’s News Breakfast, hosted the ABC Radio National Series Assumptions, guest-hosted on ABC Melbourne, and co-creator and presenter of SBS’s Salam Café. She has appeared on the Agony series, Lateline, Q and A, The Project, The Drum, Home Delivery, and has featured in Harper’s Bazaar, Dumbo Feather, The Australian Women’s Weekly, Sunday Life, and 200 Women. Her first book was “Fighting Hislam”, was published by Melbourne University Publishing in 2017, and her writing has appeared in The Guardian, The Age, The Saturday Paper, in academic publications, and numerous anthologies. In 2017, she presented on a panel at the United Nations in Geneva as a guest of The Geneva Centre for Human Rights Advancement. 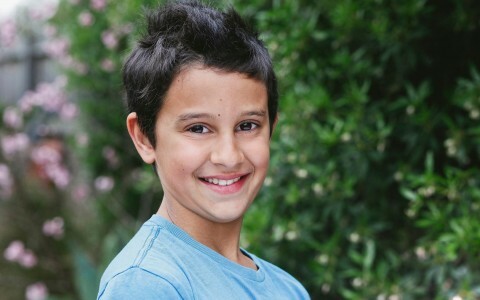 Susan is also an ambassador for UNICEF Australia, and is a certified scuba diver!